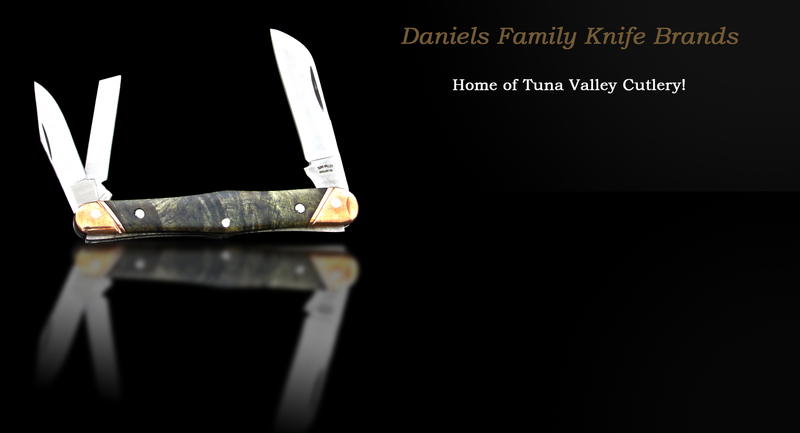 Home - Daniels Family Knife Brands - Offering lines of high end cutlery! Dealers of Tuna Valley Cutlery Co. 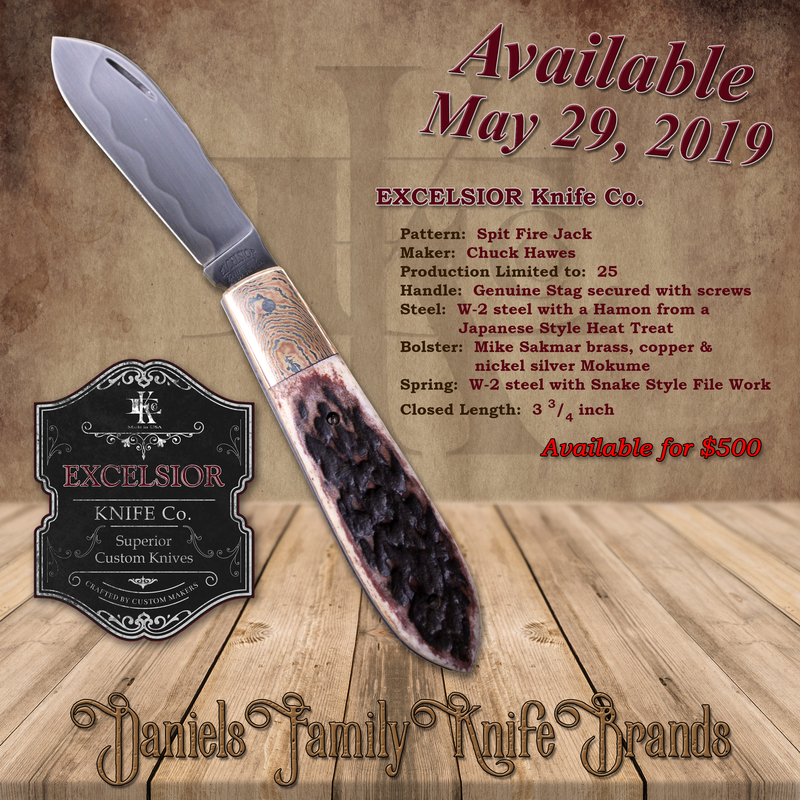 Dealers of Excelsior Knife Co.
A brief history of the Daniels family and their passion for traditional cutlery. Traditional Knives for Contemporary Collectors, 100% handmade in the USA. Superior custom knives, crafted by custom makers, all in the USA. Welcome to Daniels Family Knife Brands! We strive to bring you various lines of traditional and custom knives, handmade to the highest quality, all crafted here in the USA. 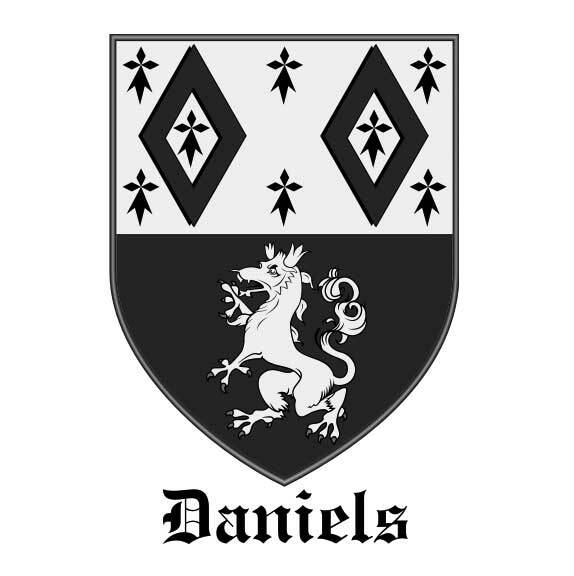 The Daniels family have been involved in knives for five generations, from trading, selling, manufacturing, and now distribution. Our goal is to work with knife makers and manufacturers to bring our customers an exclusive line of knives with the highest quality materials. Check out our Knife Show Schedule to see where you can find us next! Questions or comments about any of our products, please send us an email.